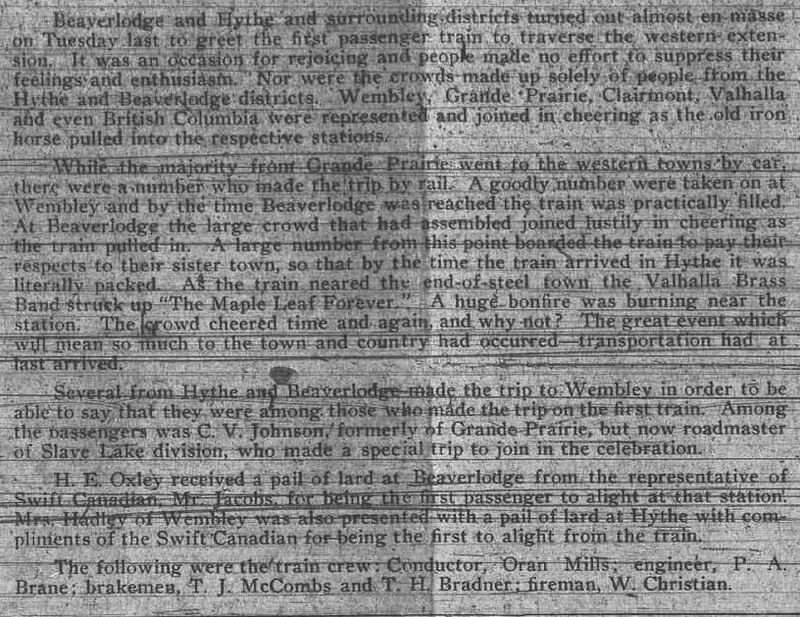 Five years after the rail line reached Wembley in 1924, it was extended to Beaverlodge and Hythe. There were huge celebrations in both towns, including brass bands, a huge bonfire, and banquets with over 200 people attending in each town. 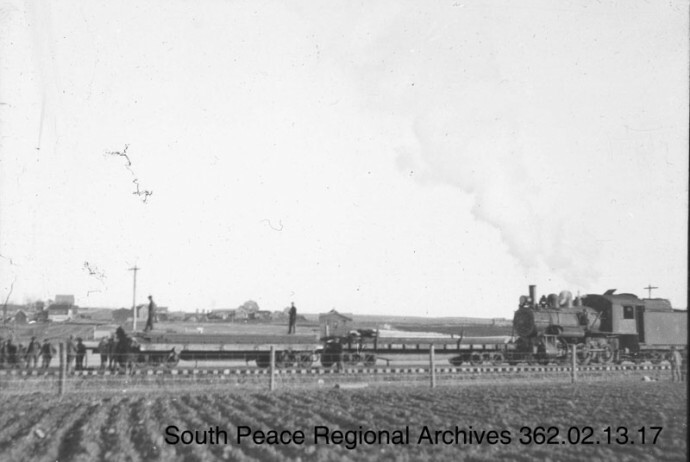 Many drove from Grande Prairie and area to witness the event, others drove to Wembley and rode the train to be passengers on the first one. Who wouldn’t, with the “prize” of a pail of lard at the other end!